Which abnormality of the gallbladder is displayed in these axial non-contrast CT images through the abdomen? D. A porcelain gallbladder occurs when the wall of the gallbladder becomes calcified. It is thought that these calcifications are due to either, intramural hemorrhage, chronic inflammation, or precipitates from bile. 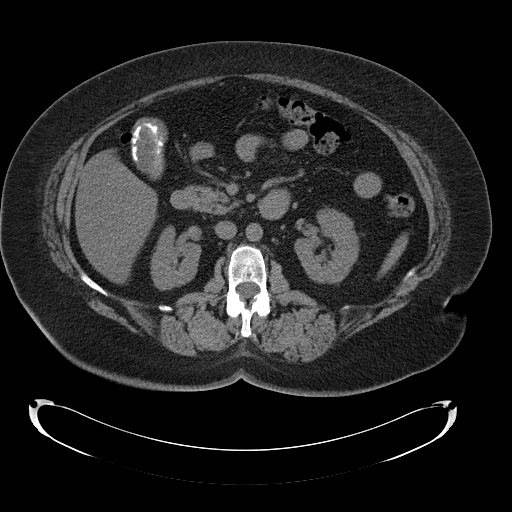 The calcifications appear as hyperdense material lining the wall of the gallbladder on CT.
A. Although a large gallstone can occasionally mimic a porcelain gallbladder on CT, these images clearly demonstrate that the calcification is intramural and not intraluminal. B. Adenomyomatosis is thickening of the mucosa of the gallbladder wall with the development of small diverticula that may or may not contain cholesterol deposits. C. There is no wall thickening or intramural air to suggest emphysematous cholecystitis. Although a porcelain gallbladder and emphysematous cholecystitis may appear similar on ultrasound due to the fact that both air and calcium are hyperechoic, they are easily differentiated on CT.
You can see all the previous ABIM Exam image of the week blog posts at the Knowmedge Blog. 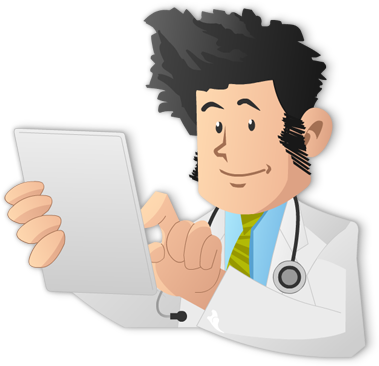 You can find also additional topics and questions directly from the Knowmedge Internal Medicine ABIM Board Exam Review Questions QVault. Dr. Russell Kosik is a 2011 graduate of the David Geffen School of Medicine at UCLA. He is currently a radiology resident at Santa Clara Valley Medical Center.